In Helicobacter pylori (H. pylori) positive stage I gastric low-grade MALT lymphoma, eradication is the accepted first-line therapy. The role of eradication therapy in lymphoma > stage IE is still unclear. However, about 20% of patients show persistent lymphoma following successful eradication or primary H. pylori-negative lymphoma. A prospective study for salvage radiation therapy with standard 36 Gy in comparison to a reduced dose of 25.2 Gy is still missing. 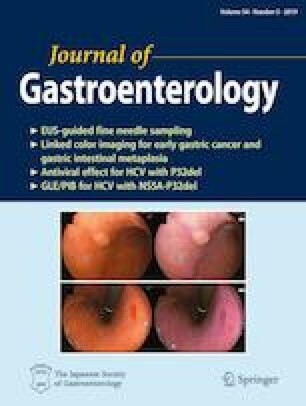 A prospective, multicentre study investigated the efficacy of eradication in H. pylori-positive gastric low-grade MALT lymphoma stages IE and II1E (HELYX I). Refractory lymphoma or H. pylori-negative patients were treated in a prospective, randomised, multicentre, phase II study to receive either 25.2 Gy or 36 Gy radiotherapy (HELYX II). 102 patients (3 drop outs) were included in HELYX I: 75/99 (75.8%) showed complete remission after a median of 2.8 months. 18 (18.2%) had partial remission (PR) and 6 (6.0%) no change (NC). 29 patients (7 drop outs) were randomized in HELYX II (7 primarily H. pylori-negative, 15 patients from HELYX I with refractory disease after eradication). All patients achieved stable CR irrespective of radiation dose. Both presence of the t(11,18) translocation (OR 9.0, p = 0.01) and monoclonality of the tumour cells (OR 6.3, p = 0.006) were predictors for persistant lymphoma after eradication therapy. Most H. pylori-positive low grade gastric MALT lymphoma stage IE and II1E respond with stable CR after eradication therapy. In patients with refractory disease or H. pylori negative low grade gastric MALT lymphoma a dosage-reduced radiation therapy with 25.2 Gy is an effective standard dose in stage IE and II1E. This paper is dedicated to Professor Brigitte Dragosics and her enthusiasm for gastric lymphomas.